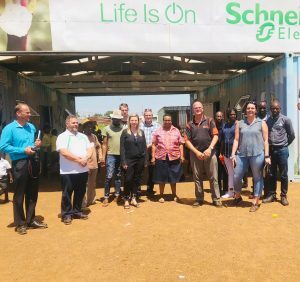 On 23 January 2019, The French South African Schneider Electric Centre (F’SASEC) at The Vaal University of Technology, in partnership with The University of Johannesburg, visited Isiboniso Primary School in Orange Farm, Johannesburg. The F’SASEC team has been involved with the school since 2015 and has ongoing projects that add value to the school. They now aim to assess the current state of the school and prepare a plan of action of how to give aid to the challenges they face on a day-to-day basis. They have included VUT and UJ as partners. Most pressing at the moment is their need for electricity and lighting. Mrs Zanelle Dalglish: Head of Sustainable Development & Academy (Anglophone Africa Cluster) and General Manager at Schneider Electric, gave an overview on the involvement of each stakeholder and what their roles are so that the school representatives are well informed about the process and partnership going forward. Ms Olive Sithole, the school’s principal, answered questions and gave an overview of the school, its daily operations and challenges. She poured her heart out about the difficulties they face. Ms Sithole explained that the school has two classroom blocks that need to accommodate 300 learners this year. Last year the intake was around 180, but due to the nearby informal settlement, this number has increased dramatically. There are 13 educators and two deputy principals who assist her. 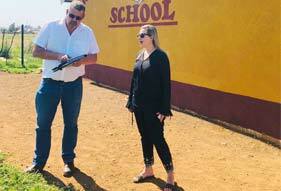 “The challenges that we are facing in our school are furniture, infrastructure, a feeding scheme, teaching aids, electricity, printer, and computers. You find that in grade one, there are about 40 learners with one teacher, which makes it difficult for the teacher to reach out to each child. We also don’t have enough desks and other children are then forced to write from the floor, which is very uncomfortable,” she explained. She also presented possible solutions on how to deal with these challenges. The visiting team also gave suggestions as to how they could assist. One other challenge relates to the learners’ identity documents. About 30% to 40% of the learners are foreigners without documentation. 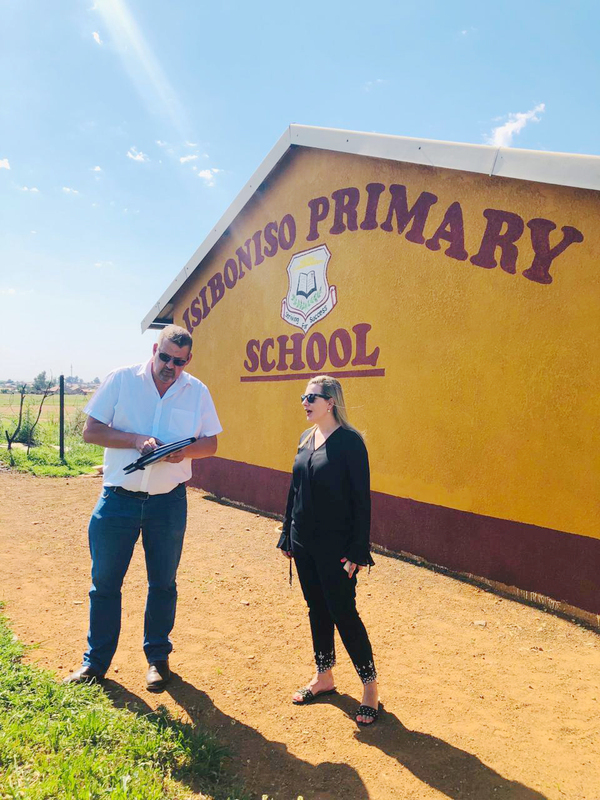 This puts a strain on the school as the parents don’t get any social grants to assist their families, which means they are unable to pay school fees and pack lunchboxes for their children. This has a knock-on effect as the children are unable to concentrate on empty stomachs. Isiboniso is owned by a non-profit organisation with no government funding. It is assisted by school fees, however this is very little and some of the teachers are therefore being underpaid. The next meeting was scheduled for 8 February 2019 where it is hoped that solutions will be put in place.